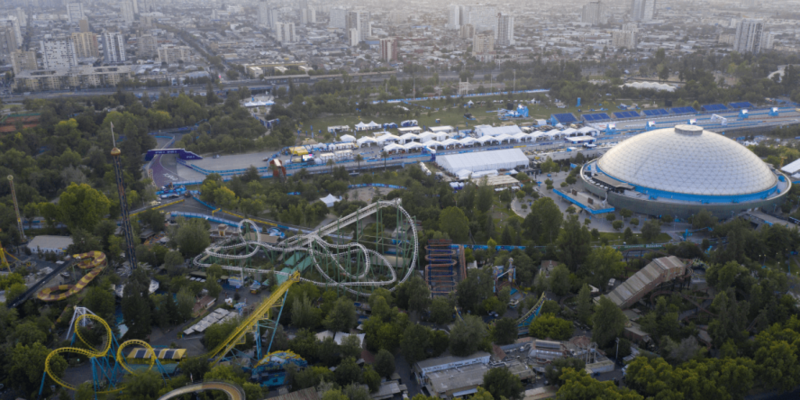 The 3rd Formula E race in Santiago, Chile was a great success from the German point of view. Pascal Wehrlein (Mahindra) and Daniel Abt (Audi Sport Abt Schaeffler) placed behind the Brit Sam Bird, who won for the first time this year. Bird’s team Envision Virgin Racing is equipped with a powertrain from Audi, so his success probably doesn’t bother the Germans too much. Hard times for BMW and HWA, who suffered set backs for their top drivers. In front of the backdrop of the snow-capped Andes mountains, January is the hottest month in the Chilean capital. 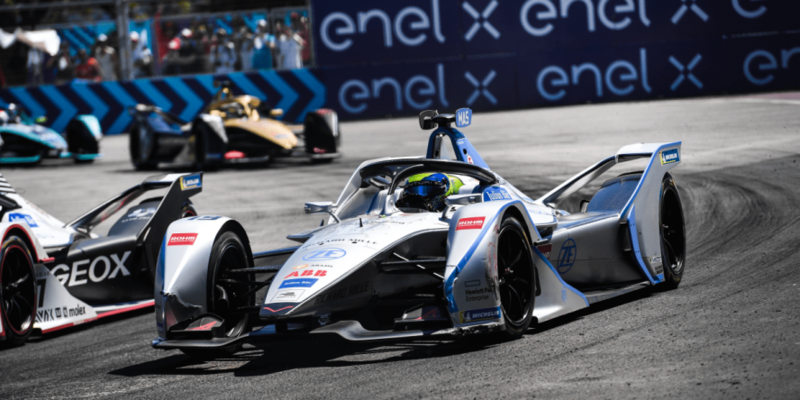 Drivers and vehicles were put to the test on the hottest Formula E race ever at 37 degrees Celsius. Tires, brakes and batteries were pushed to their limits at a 49-degree track temperature – bear in mind that if the battery temperature exceeds 72 degrees, the car simply stops. Sam Bird of the British team Virgin Racing kept his cool and saw the checkered flag first, followed by rookie Pascal Wehrlein and Daniel Abt. 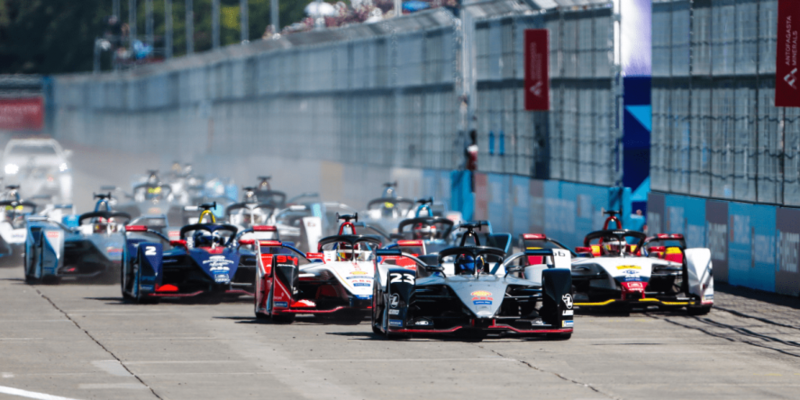 It was a race of attrition, which saw only 14 of 22 cars finish, following a number of collisions and technical issues worsened by weather conditions. 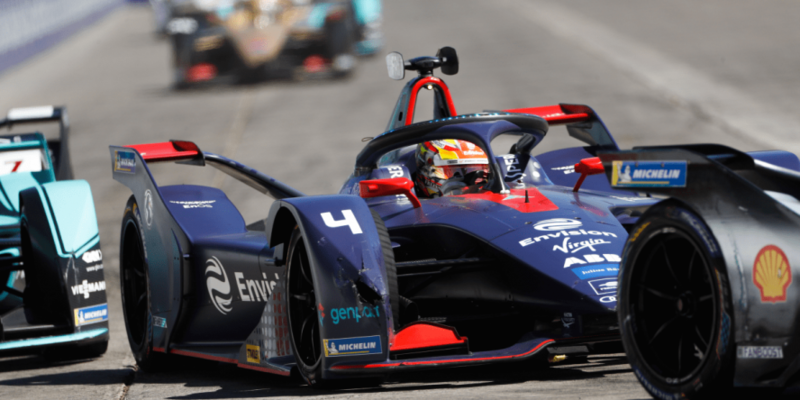 Among the retirees were pole position racer Sebastien Buemi (Nissan) and Antonio Felix da Costa (BMW), who won the opening race of the season in Ad Diriyah. 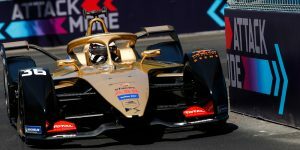 Ten minutes before the end of the Santiago E-Prix the reigning champion Jean-Eric Vergne spun out 180 degrees in slippery corner number 3, forcing him to retire early as well. Bird starting from P4 looked like a man on a mission. The 32-year-old, who is part of Formula E since season one, advanced past Daniel Abt and Stoffel Vandoorne (HWA Racelab) in the first lap, and calmly waited for his chance behind Sebastien Buemi and Pascal Wehrlein (Mahindra). After 12 minutes, Bird moved to pass Wehrlein and fought for every inch with Buemi at the top. 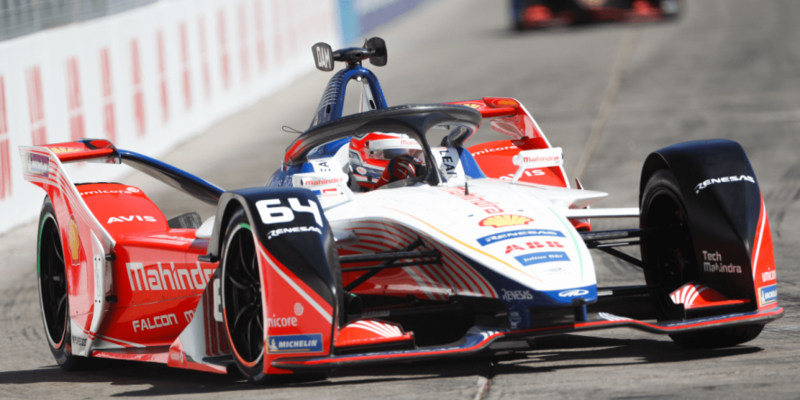 Massively under pressure, the Swiss racer slid into the wall 16 minutes before the end of the race, destroying his front wing – resulting in the end for Buemi and the lead for Bird. 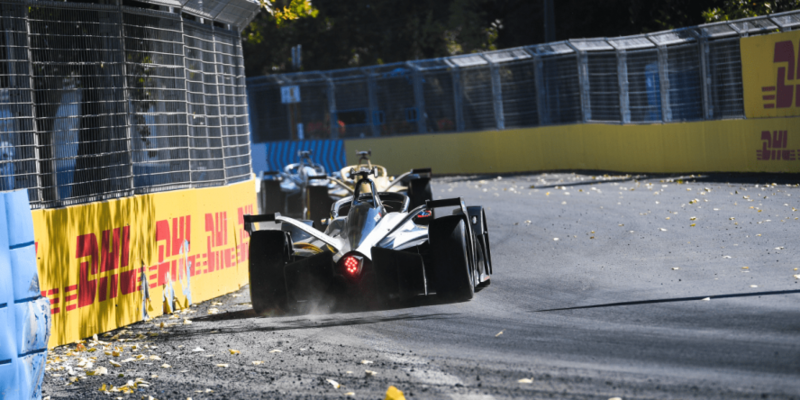 The Santiago E-Prix 2019 was also a story of penalties: Seven drivers were penalized for various rule violations during the race. The hardest hit was Lucas Di Grassi. In qualifying, the Brazilian impressed with a tremendous time of 1:08:290 minutes on the 2.384 kilometers long lap. Di Grassi drove over half a second faster than the competition! In the end, the Audi driver couldn’t benefit from his dominant qualifying time because of a rule violation during his “in-lap”, ie after the fast lap on the way back into the pits. After the deleted qualifying time, Di Grassi started from the last grid position, but fought his way up to 8th place. Due to a time penalty he slipped in the end out of the points from P8 to P12. 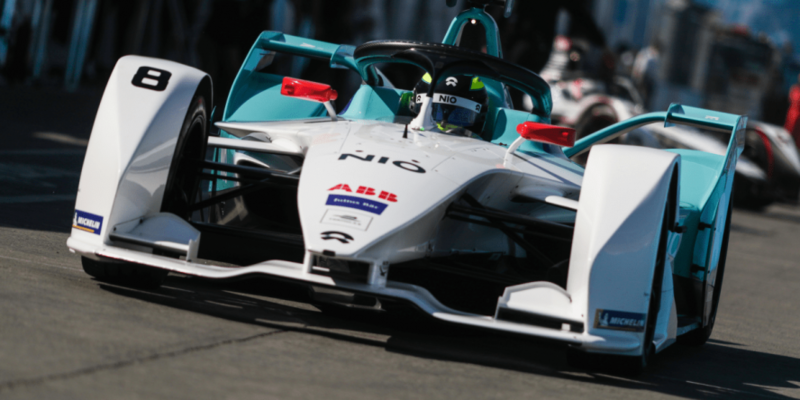 Similar disappointment was held in store for BMW driver Alexander Sims, who drove Edoardo Mortara from behind in the chicane (turn 9), causing a spin on the Venturi. Sims fell back from third to seventh place with a 19-second penalty after the race ended and BMW lost another podium place. At least Gary Paffett of the German team HWA Racelab completed his first Formula E race on P14. Teammate Stoffel Vandoorne was forced to retire early after an accident. 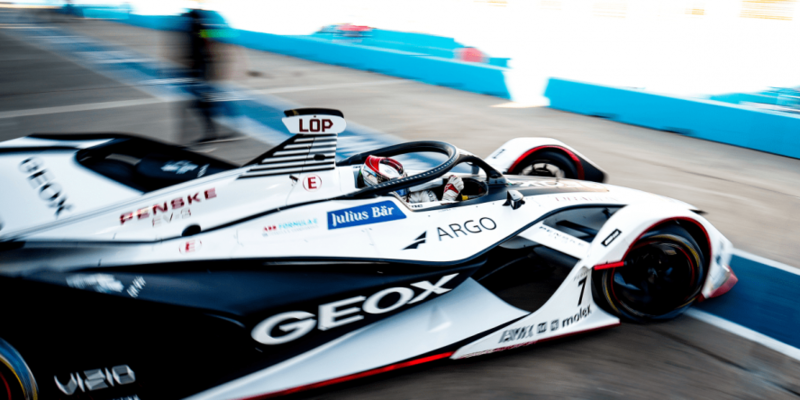 Bad luck for Formula E freshman Maximilian Günther (GEOX Dragon), who had positioned himself well in qualifying and started from seventh place, leaving behind his teammate “Pechito” Lopez. 16 minutes into the race, however, disillusionment came early when his car simply stopped because of a problem with the battery. With the victory in Chile Sam Bird (43 points) is bridging the gap to overall leader Jerome D’Ambrosio (44 points) in the driver standings. 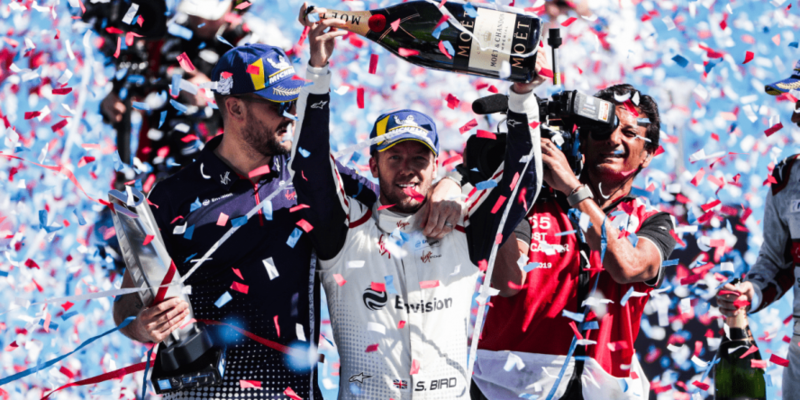 Accompanied by the two Germans Wehrlein and Abt at the victory ceremony, with Bird on top of the podium, listened twice to the British anthem “God Save the Queen“ for the each the victorious driver and the team. 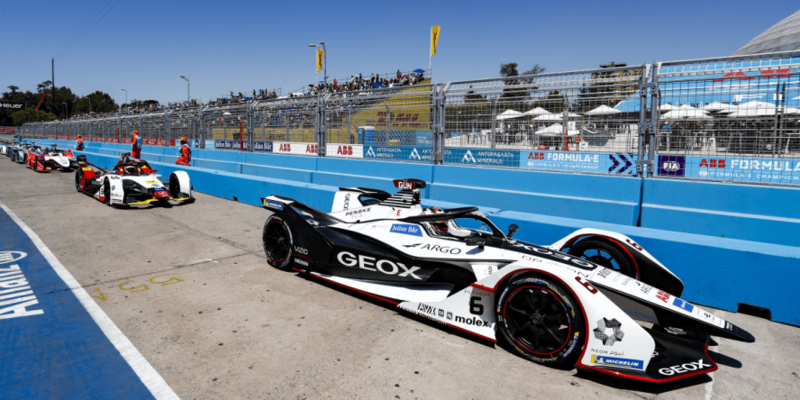 In 3 weeks the all-electric racing series continues in Mexico. On May 24/25 the Formula E is coming Berlin as well. 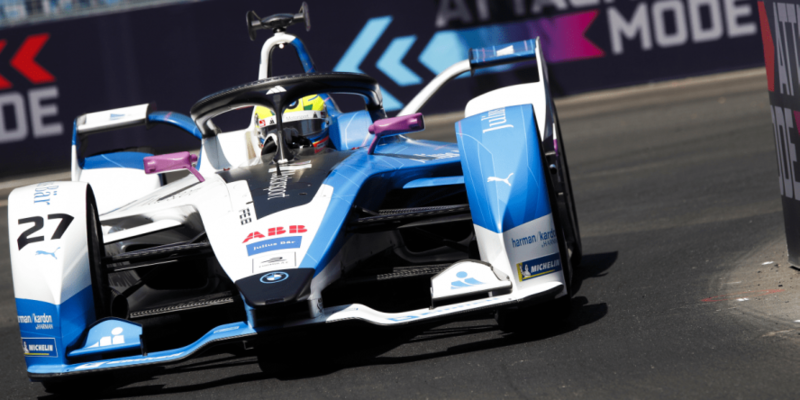 If you want to save on ticket purchases, you should strike until the end of January and benefit from the 20% early-bird-discount for the Berlin E-Prix.